The popular sporting event continued from August 31, 2018, when games resumed after being cancelled following the devastations of Hurricane Irma and Maria in 2017. This weekend's (September 14- 16, 2018) games include a clash on Saturday September 15, 2018 between Pure Playaz and Warrias and on Sunday between Bayside Blazers vs Warrias. 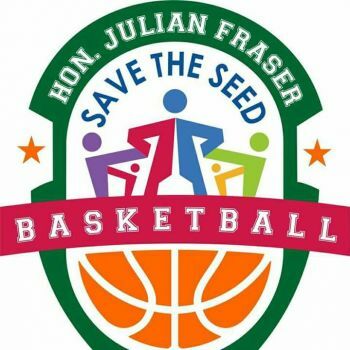 The Warrias will have to show what they are made of this weekend, playing on Saturday and Sunday, against two of the most challenging teams in the Hon Julian Fraser Save the Seed Basketball League. 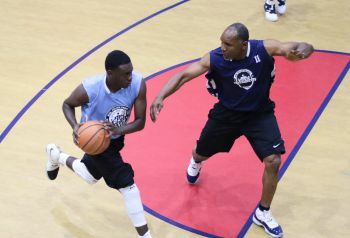 It is believed that with the exception of one or two teams, the league is evenly matched and it has created some hot excitement in the senior league. Under the League’s rules, each team is allowed to bring in an international player that does not normally reside in the Virgin Islands (VI) and does not have any legal status in the Territory, along with having one draft Pick. The League Committee organizes the yearly draft of the Territory’s top rated players who have carried their teams to Championships rounds in other local leagues, on Tortola and Virgin Gorda, and met other criteria. In the Junior Division this weekend, the hot game will be between Young Starz vs High Speech, both equally match teams. All games are played at the Save the Seed Energy centre, at Duff’s Bottom, on the main island of Tortola. The Hon Julian Fraser, Save the Seed Basketball League was founded in 2013, by Third District Representative, Hon Julian Fraser RA and founder of the Save the Seed Energy Centre, Bishop John I. Cline. 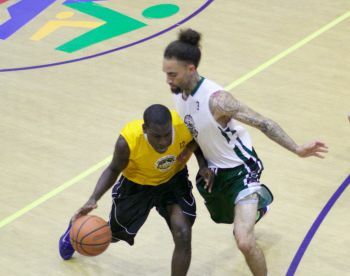 The Basketball League is governed by the International Basketball Federation (FIBA) rules, endorsed by the BVI Basketball Federation and has its own by-laws and governing Committee.